Bartlett Elementary is an accredited public school within the Bartlett City Schools system. The school serves approximately 750 students in grades Pre-School through Fifth grade with a faculty of 65 and a support staff numbering 35. Located in Bartlett, Tennessee, a suburb of the greater Memphis area, Bartlett Elementary has a long standing tradition of academic excellence, dating back to the early 1900's. The current school facility, built in 1990-91, is a single story, air-conditioned building. Features include a cafetorium, gymnasium, science lab, computer labs, library-media center, classrooms designed specifically for art and music, and special education classrooms for both enrichment and remediation. An addition in 2001 includes a new wing with 10 additional classrooms, 3 offices, and a data/PLC room. Special Education: Please refer to the Bartlett Schools Home Page for specific requirements to receive Special Education Services. ESL: A variety of services are available to meet the needs of students who speak English as a second language. Access to technology and varied instructional strategies, methods and activities assist the classroom teachers in meeting the needs of limited English proficient students. Visitors on Campus: To maintain adequate security, all visitors or parents must check in through the school office and receive a visitor's name badge before entering other parts of the building. School Calendar: Please refer to Bartlett City Schools homepage for the current school year's calendar. The school office is open each school day from 8:00 am until 4:00 pm. Please drop by, or call 373-2610, if the office staff can be of assistance. The Bartlett Elementary newsletter, The Panther Press, is published at the beginning of each month. The Panther Press contains information about upcoming events, school holidays, volunteer opportunities, student recognition and more. Please read the Panther Press as soon as it is received so that you will know what is happening. 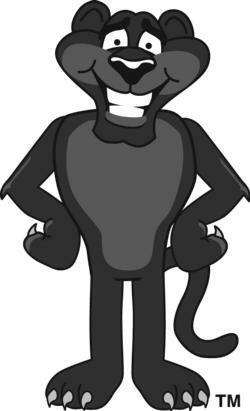 In an effort to cut down on the number of notices that are sent home, most of the pertinent parent information is included in the Panther Press. To ensure your child's safety, the school must have accurate information---and be able to reach parents quickly---in the event of an emergency. Please report any change of address and/or phone number(s) to the school office immediately. Curriculum Night is a special event for adults only. Parents will have the opportunity to meet their child's teacher and visit the classroom. In addition, parents will learn about grade level expectations and have an opportunity to sign up to volunteer in the classroom. The entire family is invited to come to school for Open House. Your child will enjoy showing you around the school, introducing you to all their teachers, and showing all of their accomplishments. Parent permission is required when students are taken off the school campus. If your child has not returned the permission slip required for a field trip, he/she will not be permitted to go. Students who are not able to attend field trips with their class will be assigned to another classroom for the day. Please note that younger siblings are not allowed to accompany students on field trips. This is a special time for the school-age child. Parent chaperones must provide their own transportation. All students are required to ride Bartlett City school buses. Parent/Teacher conferences are scheduled twice during the school year. Fall and spring conferences can be scheduled at the request of either the parent or the teacher. In many cases, parent/teacher conferences offer sufficient opportunity for communication; however if necessary, additional school/home contacts may be required. E-mail is the best way to contact your child's teacher. You will find teacher E-mail links on teacher web pages. You may also call the school office and leave a message (although playing "phone tag" may prove frustrating), or send a note with your child. Report cards are issued four times during the school year. Student evaluations will be completed in October, December, March, and June. A school yearbook is available for purchase. Be sure to order early, as the number of orders received determines how many yearbooks are printed. If your Boy Scout, Girl Scout, recreation, or similar group would like to leave a flyer in our Community Involvement Information Area, you may leave the flyer in the office. As space permits, we will post information of interest to our school community in our Community Involvement Information Area, located in a bookcase in the front hallway of our school. Please do not post notices on school buildings unless you have permission from the school office. Our school library offers an adult/parenting information section. Feel free to visit our school library and enjoy access to a wide variety of informative parenting publications. School counselors provide additional parent support. Neither Bartlett Elementary School nor Bartlett City Schools is responsible for questionable or controversial content found through links external to this site.